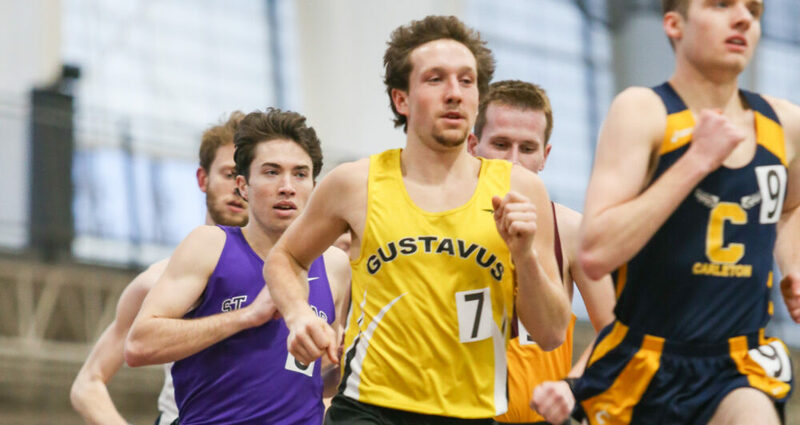 NORTHFIELD, Minn. – The Gustavus men’s track & field team took fifth place at the MIAC Indoor Championships on Saturday at St. Olaf with 68 points. St. Thomas claimed the title with 185 points. The final day of the conference meet featured one All-Conference performance for the Gusties as Michael Hensch took third in the shot put. Noah Johnson was one spot shy of All-MIAC honors by taking fourth in the 600 meters. Next week a few Gusties will compete in last chance meets with the hopes of posting qualifying marks for the NCAA Indoor Championships.